So overall I was pretty happy with how things turned out for the roughly week's worth of time I had. I don't really think it was a great game, but I think with some additional tweaking time and maybe time to develop the art a little more I could have actually made something fairly decent out of it. The biggest problem I feel comes from the lack of variety... The tile matching mechanics were pretty fleshed out but because it's just playing the same guy over and over, a fairly static goal, it gets a little boring. I tried to quickly add a narrative during the last day to give it some additional kind of progression, but I think that it really required more art time than I had to properly sell it. Candy Crush Saga has a similar problem but covers it with the changing playfield. Alternatively I could have followed Bejeweled's design and rejigged the gameplay to be more geared towards beating time/score so that the goal could change as the player gets better, in turn hopefully leading to more playability. That focus on simple gameplay and replayability seems to be the key to jam games, so I'll have to keep it in mind for future ones. There is also a lack of player reward during and after play which was something else the narrative was supposed to address, but it didn't quite work. The fun parts of these match games (for me at least) is when you manage to get a combo going and the game starts to play itself. I wanted to have something like that, but it was hard to balance that with the back-and-forth aspect of the battle mechanics, which was the main concept I was aiming for. I had options that I could attempt in that regard, but doing it quickly and without complicating the basic rules of the game didn't seem realistic for the jam. Speaking of which, the last major problem I'd noticed was lack of player guidance/instruction. By the end, I'd added in more GUI stuff than the original design included to try and make it more obvious, but it's still a stumbling block for new players in my opinion. Added sound cues might have helped a little, as would've better designed GUI elements and a tutorial. I might have even been able to spread the difficulty levels out more, making the first couple of battles even simpler, but I don't think that would've solved the overall problem. Minor issues I could spot are probably more due to nature of game jamming. Obviously there's not a lot of variety to the art, and some of it is pretty rough. The narrative is terrible and goes nowhere. There's a complete lack of sound or music. The difficulty curve is less of a curve and more of a flat line. All of these are problems that could be solved with more time, but obviously time is always going to be a limiting factor in challenges like this. I was pretty pleased with how much I had managed to actually do during the timeframe. It took quite a few long days, but I think what I've done is one of the more complete games in the jam that wasn't built on top of an existing game. Plus I'm a little more confident in what I can accomplish on my own again. That being said I probably would like to do a team thing next time, if only so I can focus on one thing instead of everything. Especially if the time frame is even shorter (like a weekend). I'm also pretty glad my coding ability still seems acceptable. I haven't had any bug reports yet aside from a couple of graphical issues, so that's pretty positive. That all being said, I wouldn't like anyone to read the mess of code I wrote, but at least it was all annotated and when I had to rewrite the main game loop late into the week it wasn't that big of a deal. Still though, one of these days I'm going to need to learn how to write functions in GameMaker. I'm also pretty proud of the mechanics behind the tile matching aspect of the game. It comes out looking relatively simple but the way I built it made it very easy to add more stuff to it (which I was ready to do if I ended up with spare time). Bejeweled style combos, Puzzle Fighter style merged blocks and Candy Crush style powerup tiles could have all been added relatively easily. Similarly I could've dropped, flipped or randomized the candy strength hierarchy. The difficulty function was pretty effective as well, making it really easy to add individual aspects at certain levels. There's only three different levels in the game for simplicity's sake, but I could have extended it out to five without too much hassle. 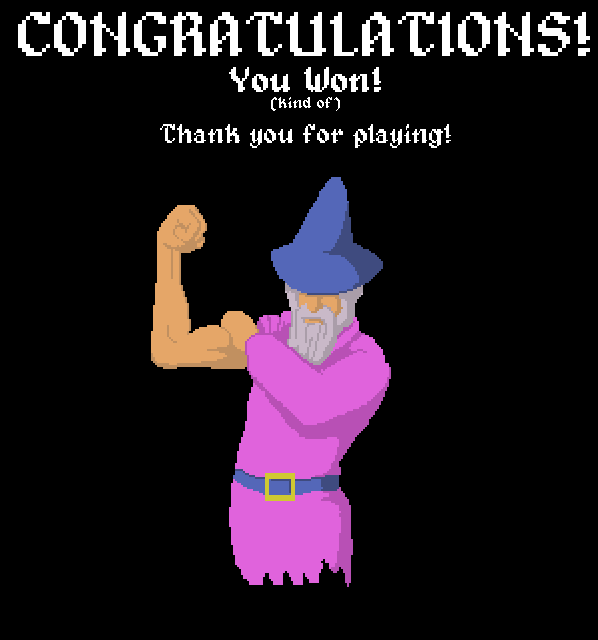 Not only that, but it was a lot easier to extend the AI through the difficulty levels than I was expecting. Even though the game's not exactly hard and the AI makes some dumb moves sometimes, those dumb moves are deliberate. There appears to be a day missing, so lets assume I just slept that entire day. Development-wise, this was less "planned out at the start" and more "do a bunch of stuff and see where we're at". I had a very rough idea in my head of what I wanted to do but not a lot of specifics. I am definitely finding that I'm better at getting stuff done after I have a bunch of the graphical materials prepared ahead of time. That's probably something I'll continue doing if I'm working on something solo. 1. Change the theme away from candy to robots (mainly to prevent trademark issues, but more so because robots are awesome). This probably wont catch the crucial middle-age lady audience that powers Candy Crush Saga, but robots fighting makes more sense than candy magic. Plus I'd have more fun with it. Also screw specific demographics, puzzle games are pretty popular with everyone. 2. Improve the UI and gameplay flow. Add some more concepts that can be added piece by piece to increase game depth. More clearly define and simplify the battle system. Add more bells and whistles/rewards to the main gameplay. 3. Add RPG elements to the progression to the player can have more control over playing it the way they want. For example, having each tile type as a different attack, allow each player to choose what attacks they want to specialise in for big damage, etc. Hit combos to power up and do a special attack. Choose the parts you want for your robot to make your own designs. 4. Add a better goal, or multiple minigoals for the player to aim for. A bigger focused overarching narrative might be better but also give players other goals to pursue or ignore as well. Make collecting parts rewards for games, compete in infinite arenas for highscores/cash.